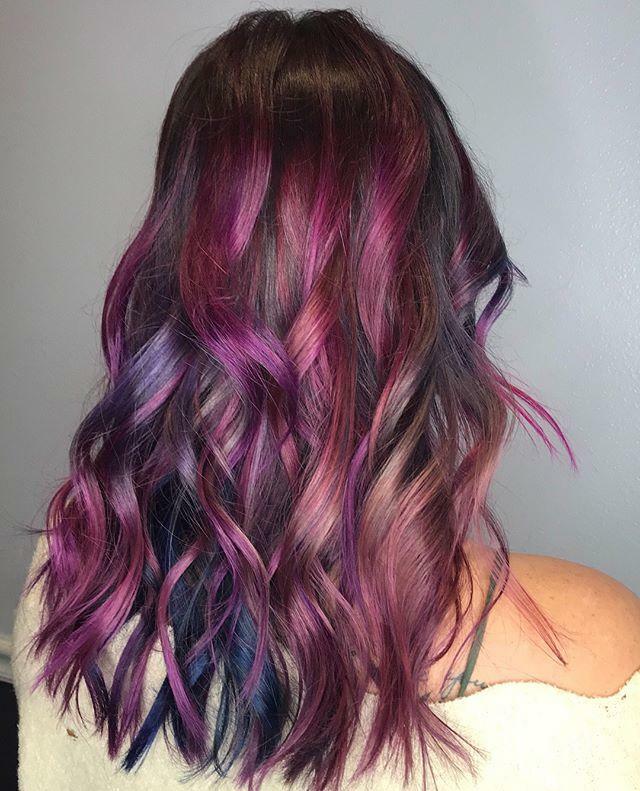 Combinations of violet, rich purple, & blueberry tones make this handcrafted hair color vibrant and eye-catching. Purple hair is for the bold and the beautiful! Skin tone, eye color, and natural hair color are considered when formulating the perfect individualized violet tones for each client.